The SuperBrix’s SB series makes a sharp separation of the material into 2 fractions only – usually a light one and a heavy one. MAIN FEATURES AND BENEFITS For the separation of particles with the same size, shape and similar weight. When traditional methods of separating fail, the SB table separator can be used with incredible results. 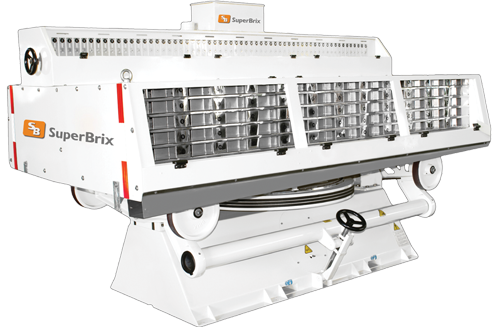 There are different models in the SuperBrix Table Separator Series ranging from SB-40 up to SB-105 separating compartments per machine. For the separation of particles with the same size, shape and similar weight.